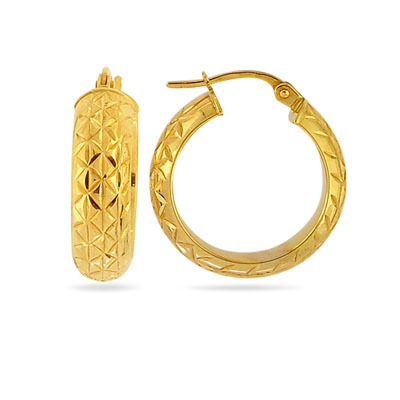 Hoop Earrings in 14K Yellow Gold . These bewitching Gold Hoop Earrings are exquisitely crafted in 14K Yellow Gold. Approximate Gold Weight: 2.90 Grams. The earrings come finished with omega backs. Express your love with these dazzling earrings.